The confetti was flying Oct. 23 at NASDAQ headquarters in Manhattan as LM Funding America became Tampa Bay's newest publicly traded company. By the end of the day, the firm's initial public offering had raised $10 million — peanuts by Wall Street standards but "absolutely exhilarating'' to chairman and CEO Bruce Rodgers. LM Funding — whose pitch is "We buy problems'' — pays homeowners associations for the right to collect delinquent fees. The associations use the funds for maintenance and repairs while the company makes its money through what it calls "aggressive'' debt collection. Since it started seven years ago, LM Funding has contracted with 500 associations in Florida, Colorado and Washington state. With more than 320,000 community associations nationwide, the potential for profit is great. LM Funding draws good reviews from some of its client associations. But there have been hiccups, too. Several lawsuits have been filed against the company and the Tampa law firm that handles much of its debt collection — Business Law Group, founded by Rodgers. The suits accuse them of violating consumer protection laws including the Fair Debt Collection Practices Act. Some homeowners say Business Law Group has dunned them for amounts they didn't owe. One condo owner said she got a letter demanding $36,688 although association records showed she was only $1,675 in arrears. LM Funding and the law firm, which share office space in Tampa, also have been accused of failing to disclose their close ties. Rodgers' wife, Carrollin Gould, is paid by both LM Funding and Business Law Group. Both firms have been the target of lawsuits alleging that while Business Law Group appeared to be working on behalf of the associations, it really was acting in the best interests of itself and LM Funding. 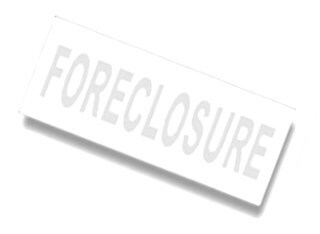 The law firm collects "debts from (homeowners) in a manner that maximizes both attorneys fees and returns for LMF investors rather than to mitigate loss and bring condominium accounts current,'' according to a suit filed this year in federal court in Tampa. Rodgers, who divested his interest in Business Law Group the day before LM Funding went public, says such allegations are unfounded and give an "inaccurate depiction'' of the firms' relationship. "They've always been independent,'' he said. "Until the law firm collects the proceeds and the money resides in the law firm's trust account, LM doesn't have any claim to the accounts." Litigation is hardly a surprise in a business dealing with thousands of people who could lose their homes unless they pay their HOA fees. Community associations rely on the fees to maintain common areas like swimming pools and playgrounds. After the real estate crash, many associations in Florida and other hard-hit areas of the country struggled with upkeep because so many owners defaulted on their fees. Therein lay what Rodgers and Gould saw as a business opportunity. Before the crash, "I had a nice run doing (legal work) on private equity deals and multifamily projects — that's what got me familiar with the condo statutes, '' Rodgers said. "I got hurt in 2007, lost money in the real estate market and then we created the funding model'' for community associations. Founded in 2008, LM Funding typically pays the association a sum equal to what it would receive by law if the condo was sold — 12 months of delinquent assessments or 1 percent of the mortgage value, whichever is less. LM Funding then hires a law firm — Rodger's Business Law Group has been the main one — to bill the delinquent homeowners. After collecting the debt, the law firm keeps part of the money to cover attorneys fees and costs and gives LM Funding the interest, late fees and an amount equal to what it paid the association. Under this business model, the risk to LM Funding comes if the debt is not collected. The company then is out whatever it paid the association plus the legal fees it paid the law firm to try to collect the debt. Still, "we do very well recovering that money," said Sean Galaris, the company's president. Tampa attorney Shawn Brown has represented several condo associations that contracted with LM Funding early on and came to regret it. Business Law Group was so slow in its collection efforts, Brown said, that the associations experienced serious cash flow problems after the money they got from LM Funding ran out. That's what happened with Grand Reserve Condominiums at Tampa, a 386-unit complex in Carrollwood. During the recession, so many owners defaulted on their fees that at one point the complex couldn't pay a $30,000 water bill. In 2012, board members assigned the association's delinquent accounts to LM Funding for $203,103. But that proved too little to cover all of the ongoing repairs and upgrades needed at an aging complex. In 2013, with a new board in place, the association declared bankruptcy. It sued to rescind the 2012 agreement so Grand Reserve could collect future assessments on 75 units for whose accounts LM Funding still held the rights. The company had administered the agreement "in a bad faith fashion that is economically beneficial to LMF and economically disastrous to Grand Reserve,'' the association alleged. LM Funding, in turn, claimed that the bankruptcy filing was part of a scheme by certain board members to drive down prices and buy units to rent or resell at personal profit. In August, a judge dismissed the bankruptcy case but LM Funding is still working with new board members to resolve Grand Reserve's financial problems. "We've done business with 500 different associations,'' Rodgers said, "and this is the one that went bad for us." Because it is difficult to know when debts will be collected, LM Funding started a "New Neighbor Guaranty" program. That pays the fees every month on each delinquent account. With money coming in on a regular basis, "what that does is allow an association to set a budget," Rodgers said. In 2009, Itopia, a condo community in St. Petersburg, assigned LM Funding the rights to about $230,000 in delinquent accounts. Two years ago, the association switched to another program in which LM Funding pays the monthly fees when a homeowner becomes delinquent by $5,000 or more. "Our experience with LM Funding has been very good," said Rosey Badwal, president of Itopia's condo association. "The first program helped us get out of the economic slump and then we renewed to a better program and we're still getting benefits from it." In the course of dealing with so many financially strapped associations and unit owners, LM Funding has acquired several dozen condos. Although some are still subject to first mortgages and could be foreclosed by the bank, the company plans to rent them out as long as it can. Since its initial public offering last month, the company's share price has stayed around $10 in very light trading. Rodgers and his wife own 80 percent of the shares — they had to buy $2 million worth themselves at the last minute to meet the minimum requirements for the offering.